Chinese internet giant Alibaba has unveiled a new “internet car” that will let drivers make mobile payments from their seat using affiliate company Ant Financial’s Alipay mobile payment platform. The company designed the OS’Car RX5 sport utility vehicle in partnership with SAIC Motor Corp. 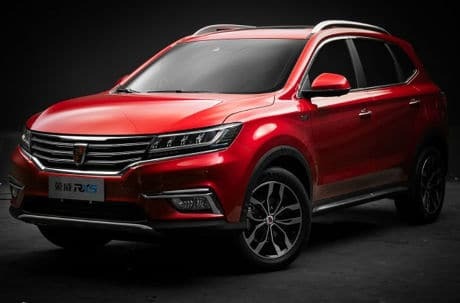 The vehicle includes a new version of Alibaba’s Yun operating system that has been built especially for the automotive industry by the company’s YunOS division. “While some cars are able to access the internet through third-party software or apps, Alibaba said it wants to make all vehicles a part of the largest Internet of Things (IoT) ecosystem, where smart devices collect and exchange data in order to improve efficiencies for their users,” the company’s Alizila blog says. “In the RX5, Alibaba will use its own ecommerce ecosystem to deliver the services. For example, drivers will be able to book and pay for parking spaces, gas stations and coffee shops through Alipay. The company will also continue to leverage consumer data to tailor those features to each individual driver. The car will also have navigation and voice control features as well as three LED screens for interfacing with the OS and 360-degree detachable cameras. The OS will not be a closed system, according to YunOS president Zhang Chunhui, but will be open to other companies to deliver their own services through the internet car’s operating system. The vehicle will retail at a starting price of RMB 148,800 (US$22,300). Consumers can pre-order the car through Tmall, with deliveries expected in August.